Hello! Welcome to the website for the Alpha Clionian Sorority of SUNY Geneseo. The site is managed by the Clio Corporation and is used to provide updates and inform you regarding everything Clio, whether you are an active sister, an alumni, or a potential new member! Phi Kappa Pi (Clio) is a local sorority at State University of New York, Geneseo. Alpha Clio of SUNY Geneseo Clio was founded in 1872 as a literary society at what was then the Geneseo Normal School, a small teaching college in upstate NY. Clio was the one of the first social organizations at SUNY Geneseo. Clio was a sister organization to the Delphic Society for men (now Delta Kappa Tau Fraternity). In their early years the societies performed many song contests and poetry readings to entertain the student body. Around 1902 Clio took on the Greek letters Phi Kappa Pi. Clio was one of the original members of the SUNY Geneseo Inter- Greek Council when it was established in 1915, along with Delphic, Agonian, Arethusa, and Phi Alpha. Clio’s colors are Gold and White and its symbol is the Daisy. Clio has had many homes over the years but currently resides at 20 Wadsworth Street. Academic Achievement Clios recognize the importance of scholastic achievement among its members and our sisters strive to uphold high academic standards and involvement in Geneseo’s extracurricular activities. Clios are also involved in many academic honor societies including National Order of Omega, Sigma Iota Rho, and Phi Eta Sigma. Clios are also involved in campus activities such as Inter-Greek Council, America Reads Tutor, GOLD, Pre-dental Club, Orchesis, CPR/AED first aid certified, History Club, Young Children’s Council (YCC), Model UN, Sociology Club, AOP, Biochemistry Club, Club Volleyball, Marketing Club, PRISM, LSA (Latino Student Association), Office of Advancement, Psychology Club, Biology Club, Yoga Club, Hips n Harmony, Sibling Peer Research group (SPRG), Phi Alpha Delta (Pre-law fraternity), Habitat for humanity, Safe Zone Trained. Philanthropy The sisters of Clio also enjoy giving back to their community in many ways. In recent years Clio has been involved with the MS Walk for a Cure, Relay for Life, Habitat for Humanity, Livingston County Cares, Red Cross Blood Drives, Day of Caring, Thanksgiving Food Drive, and volunteering at the Avon Nursing Home. While all of these are important the philanthropy that is no doubt the most dear to our hearts is our annual Migrant Children’s Christmas Party. Every December, the sisters of Clio fundraise to put on a Christmas party for the children of local impoverished migrant workers complete with food, games, presents and an appearance by Santa! Witnessing the happiness this brings the children is by no doubt one of the highlights of our semester!! Clio is always open to new ideas on how to give back to our community! Other Chapters of Clio Before the 1953 ban on Nationally affiliated Greek Organizations by the SUNY system Clio had 10 chapters throughout the Northeast. 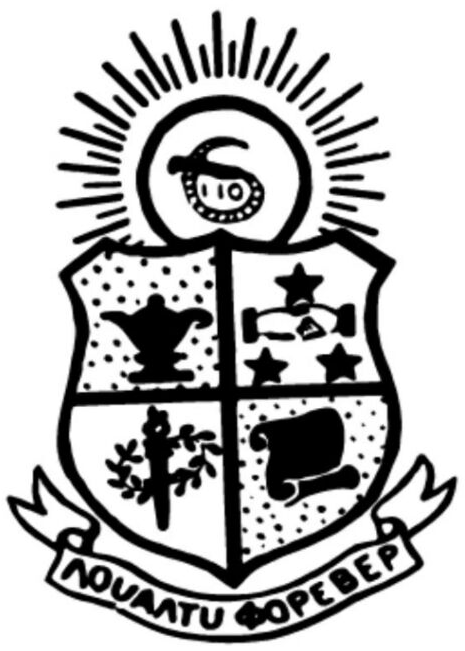 Beta Clionian- SUNY Oneonta, in 1890 women petitioned the Clionian society to start a Beta chapter which became very close to the Beta chapter of the Delphic Fraternity. In 1946 they then became Beta Xi chapter of Alpha Sigma Alpha National Sorority, after the ban on Nationals in 1953 they returned to being Beta Clio until they died out in the 1960’s. Gamma Clionian- SUNY Cortland, a group called Athenae in 1890 vowed to become the third chapter of the Clionian society, in 1946 it became the Gamma Clio chapter of Alpha Sigma Alpha National Sorority, after the ban on Nationals in 1953 it returned to being a chapter of Clio but is no longer active. Delta Clionian- SUNY Plattsburgh, Delta Clio was started in 1893 with 25 members. In 1954 due to the Nationals Ban it severed ties and took the letters Phi Kappa Chi. Phi Kappa Chi died out in 2005. Epsilon Clionian- Jamaica Normal School, nearly nothing is known about this chapter as the Jamaica Normal School was closed in the 1930’s. Zeta Clionian- Mansfield University, this chapter came into operation sometime in the 1890’s. In 1914 the President of Mansfield, William Straughn disbanded all fraternities and sororities on campus due to his feelings that they were elitist. They were a sister organization to the Delphic Fraternity. Eta Clionian- SUNY New Paltz, was formed sometime in the late 1880’s and existed into the 1960’s. Was sister organization to the Delphic fraternity and Clios were often named Queen in the Delphic White Rose Weekend parades in the 1960’s. Theta Clionian- SUNY Buffalo, in 1926 Theta Clionian became the Pi Pi chapter of Alpha Sigma Alpha National Sorority until the ban on Nationals in 1953 when it then returned to being Theta Clio until it recolonized as Alpha Sigma Alpha National Sorority in the 1970’s. It closed again sometime around 1992- 1994. Iota Clionian- SUNY Oswego, in 1925 the Sheldonian literary society became the Iota Chapter of the Clionian Sorority, in 1951 it became the Beta Tau chapter of Alpha Sigma Alpha National Sorority, in 1954 it dropped national affiliation due to a SUNY wide National ban and became the local sorority Alpha Sigma Chi which is still in operation today at SUNY Oswego. Kappa Clionian- SUNY Potsdam, in 1906 the sorority Pi Delta Sigma was created, in 1928 it affiliated with the Clionian fraternity and adopted the letters Phi Kappa Pi, in 1934 another sorority on campus, Sigma Beta Epsilon was absorbed by Kappa Clio due to financial hardships of the depression. This chapter is still in operation today under the name Phi K.